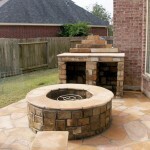 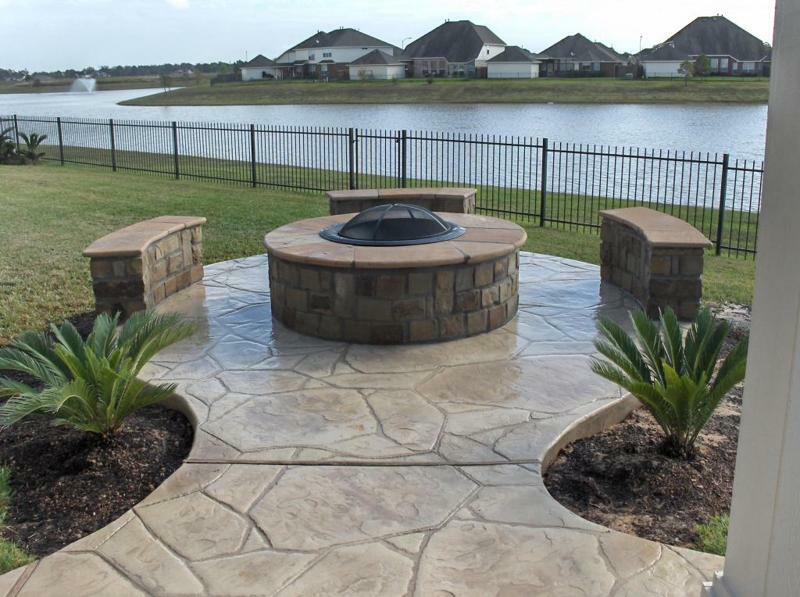 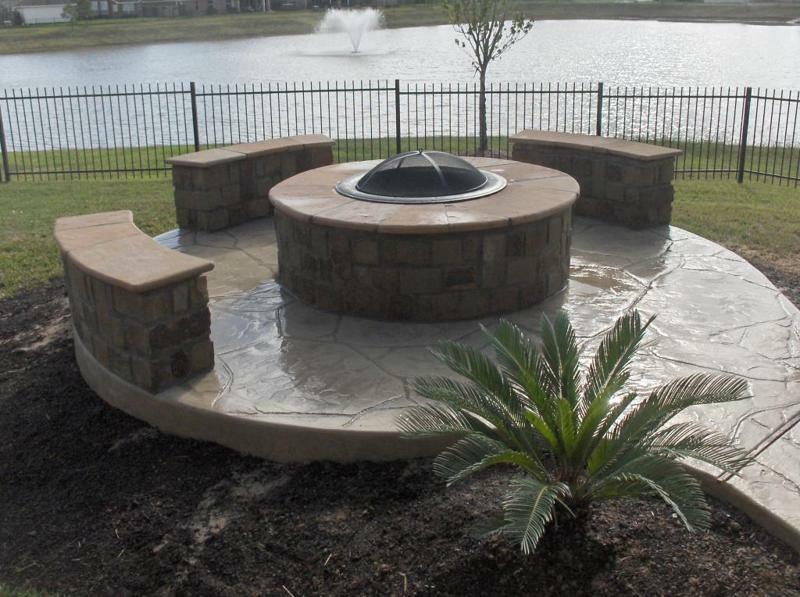 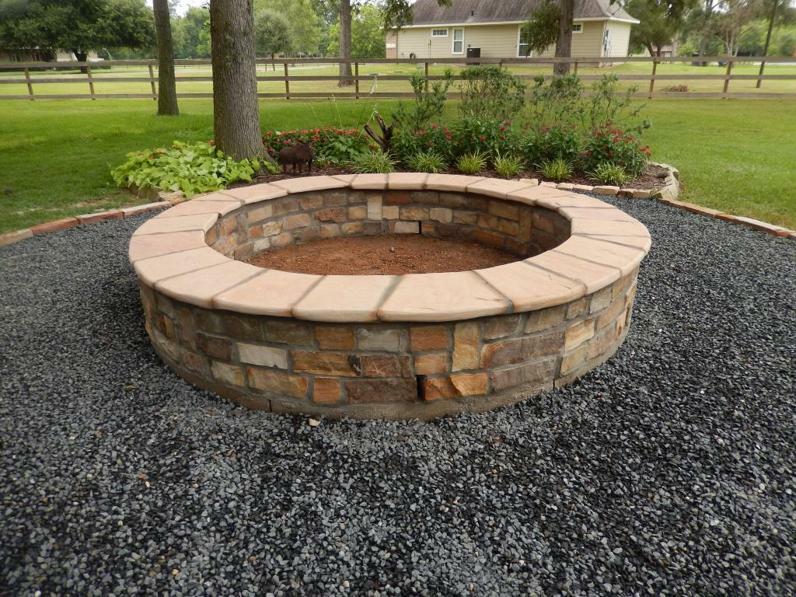 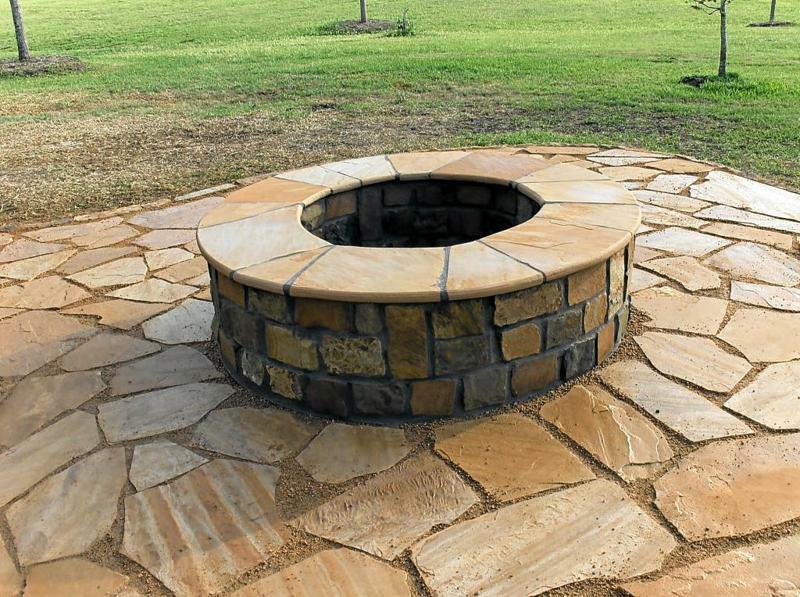 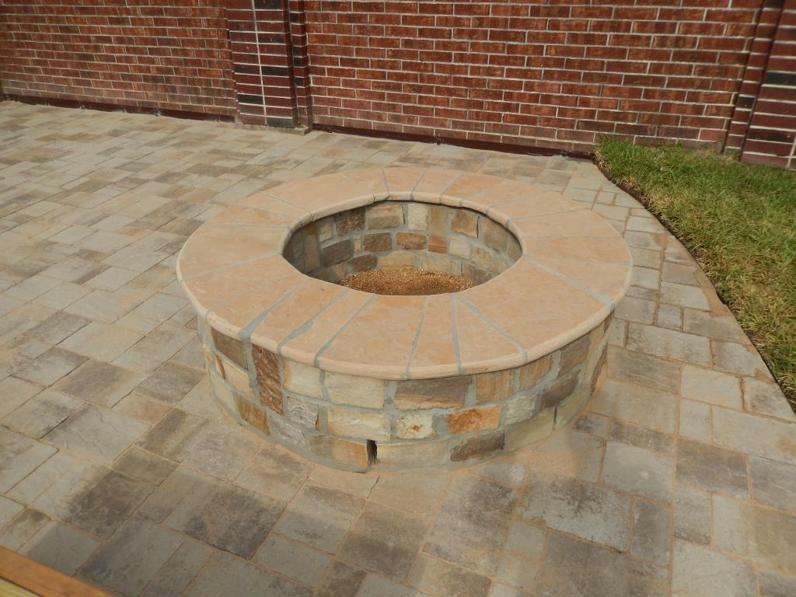 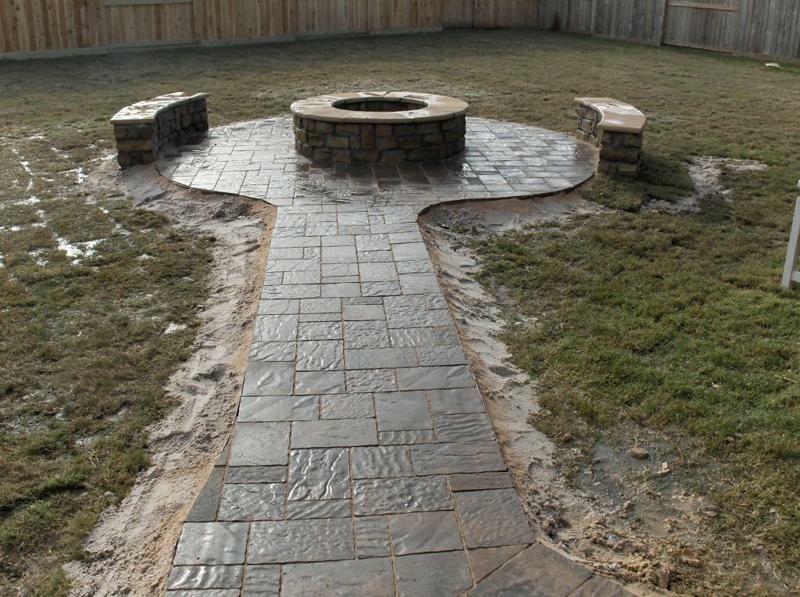 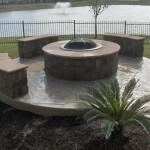 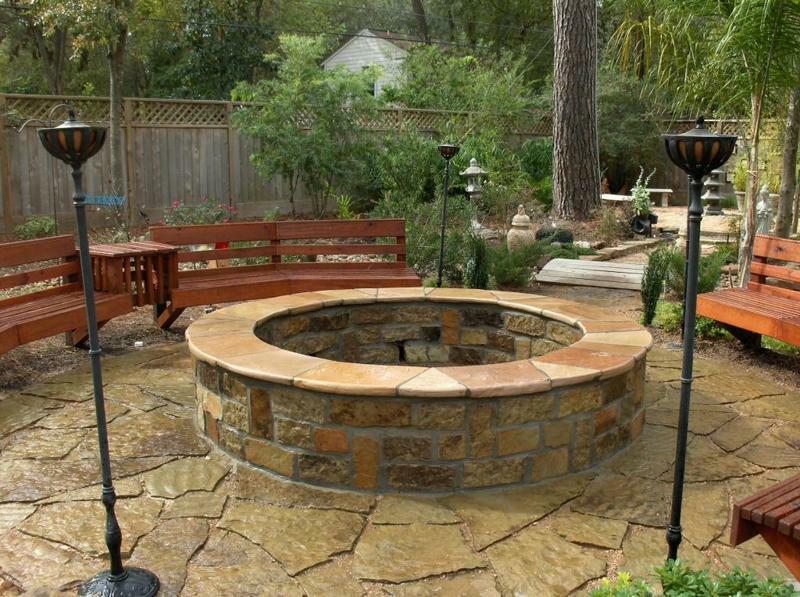 Firepits are either round, square, or rectangular. 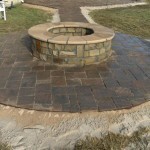 Double sided chop rock, appx. 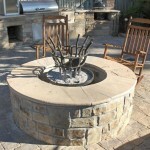 18” tall with a 14” wide sitting top, with flagstone tops and bull-nosed edges. 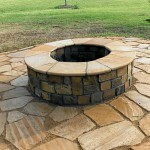 Round are normally 5′ across with a 3′ inside diameter. 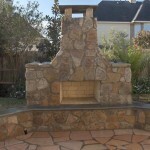 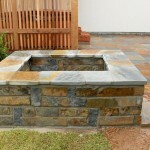 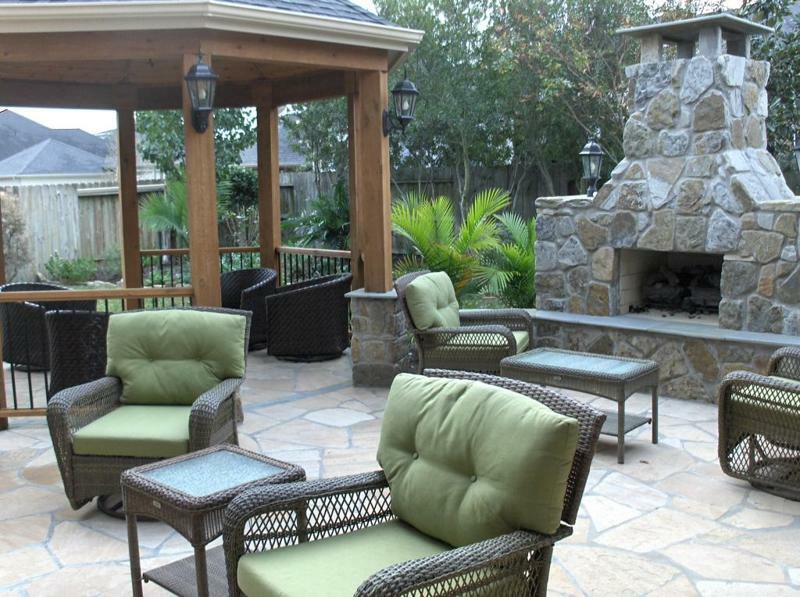 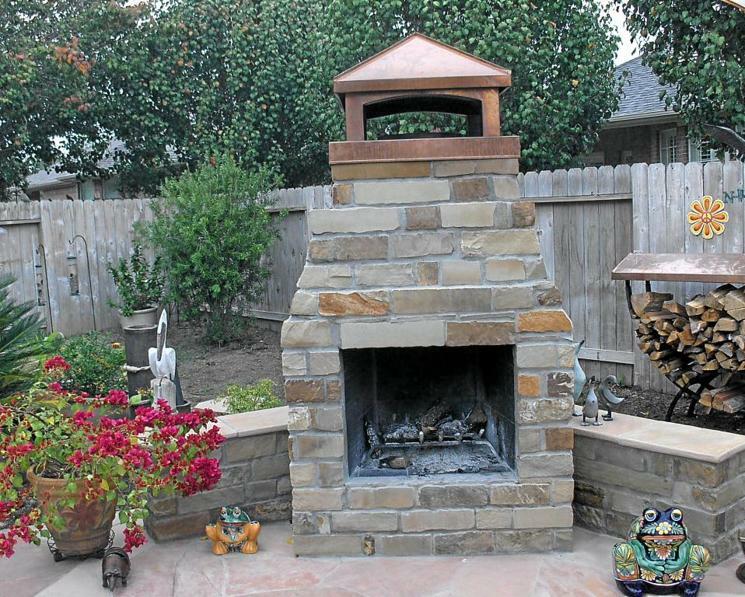 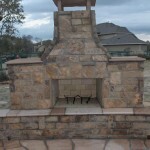 Outdoor fireplaces are all custom depending on customers input and architectural look they’re wanting to achieve. 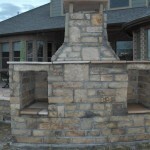 They all have a prefab insert kit, fire brick inside. 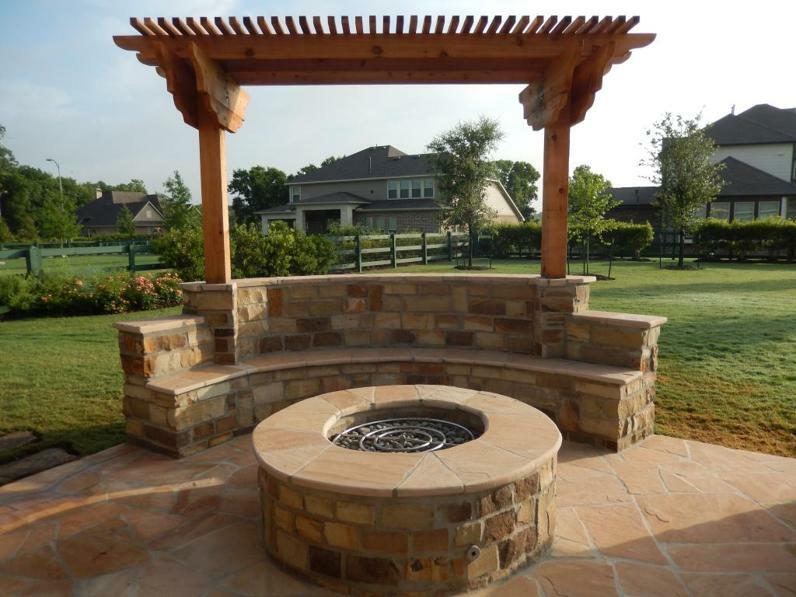 We usually build with a front seating heart if elevated, and connecting side benches. 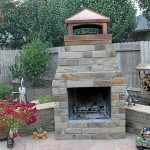 Base fireplaces with hearth are roughly 8 feet wide, with an overall height up to 10 feet. 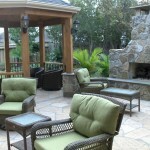 This typically conforms with most HOA rules. 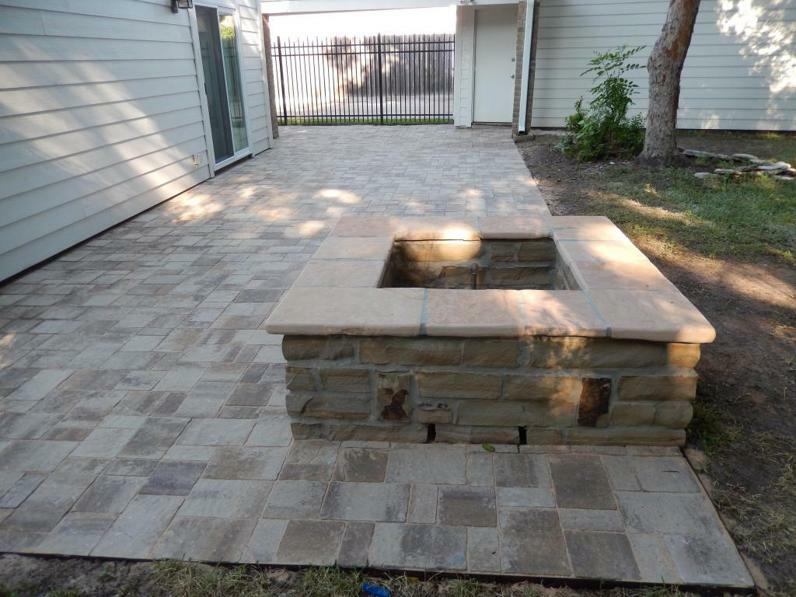 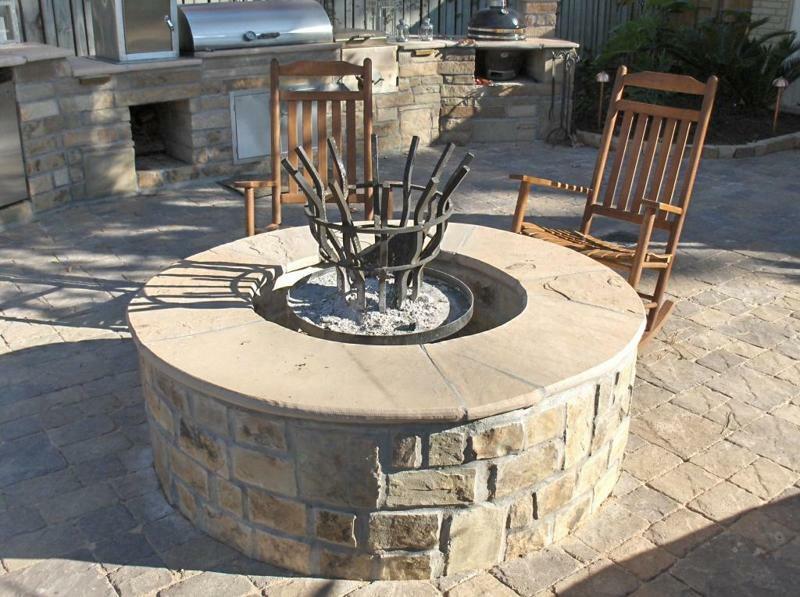 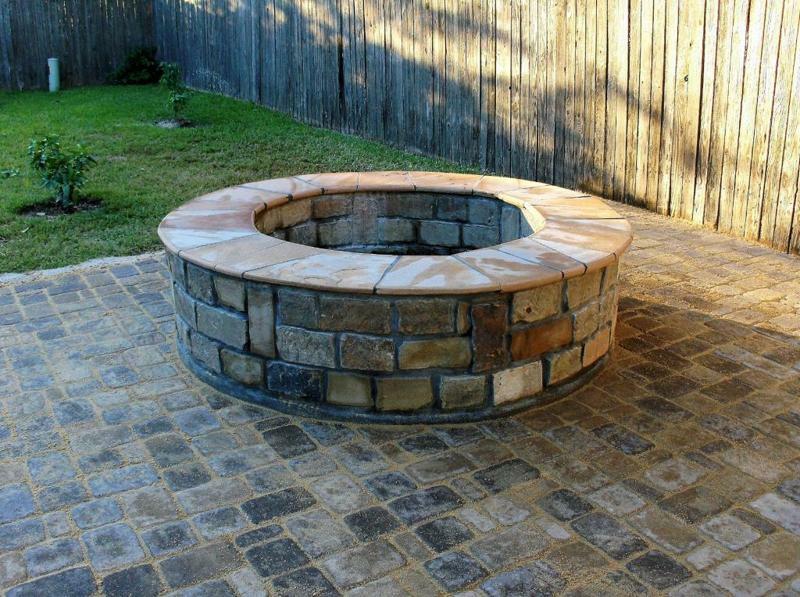 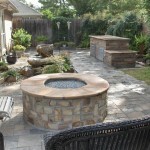 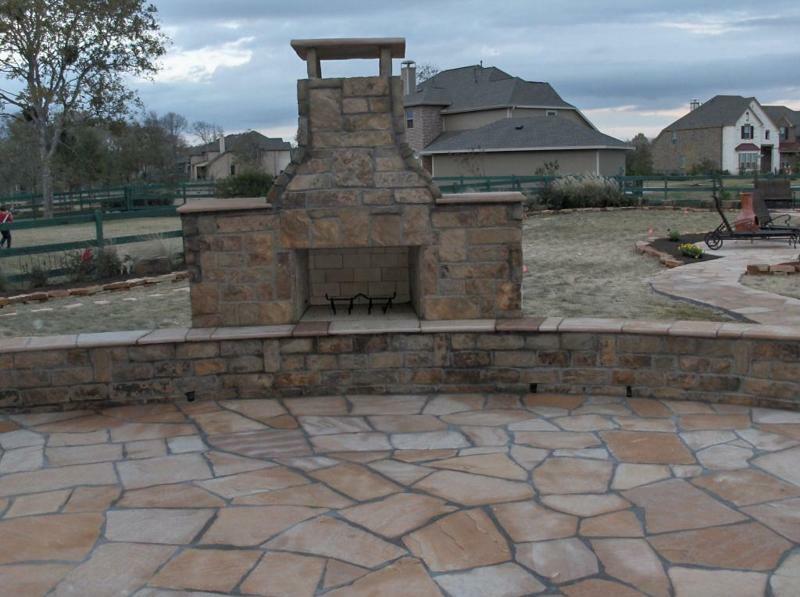 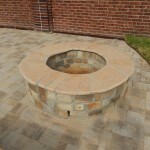 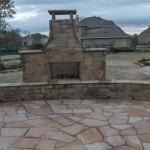 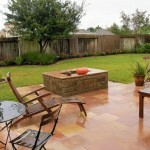 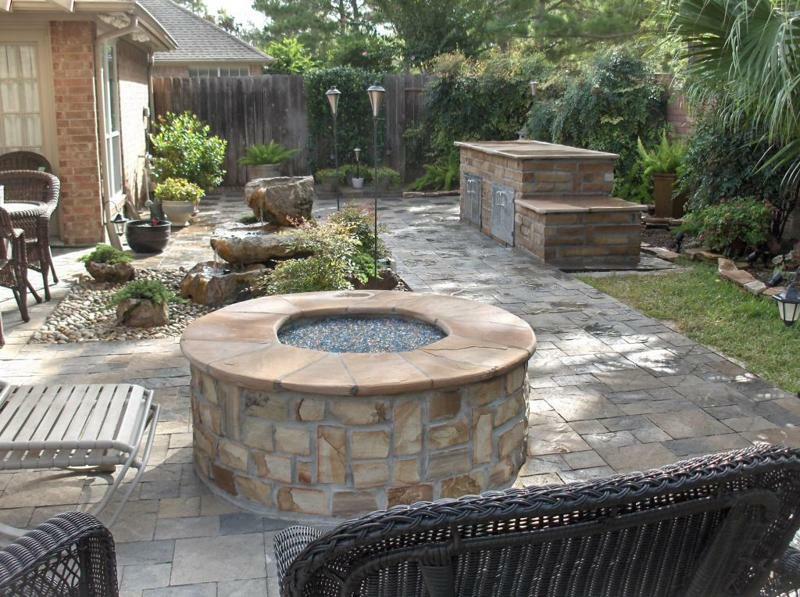 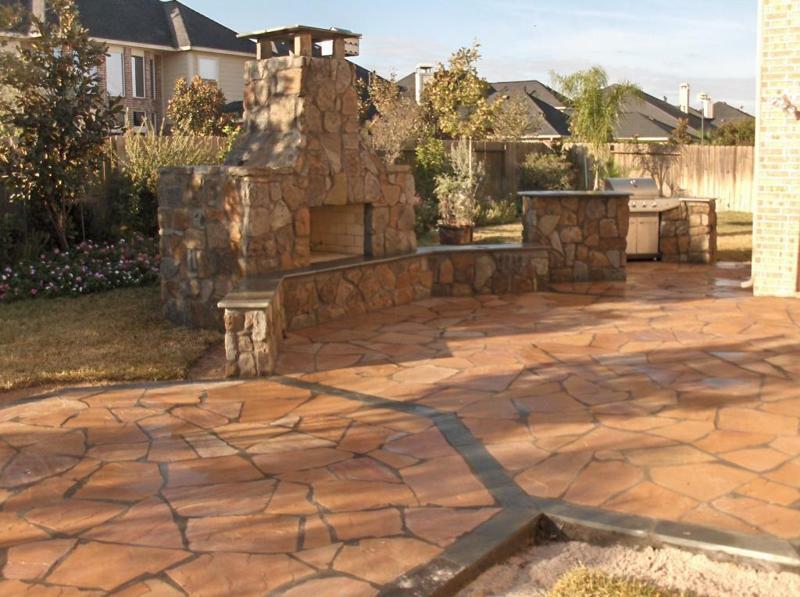 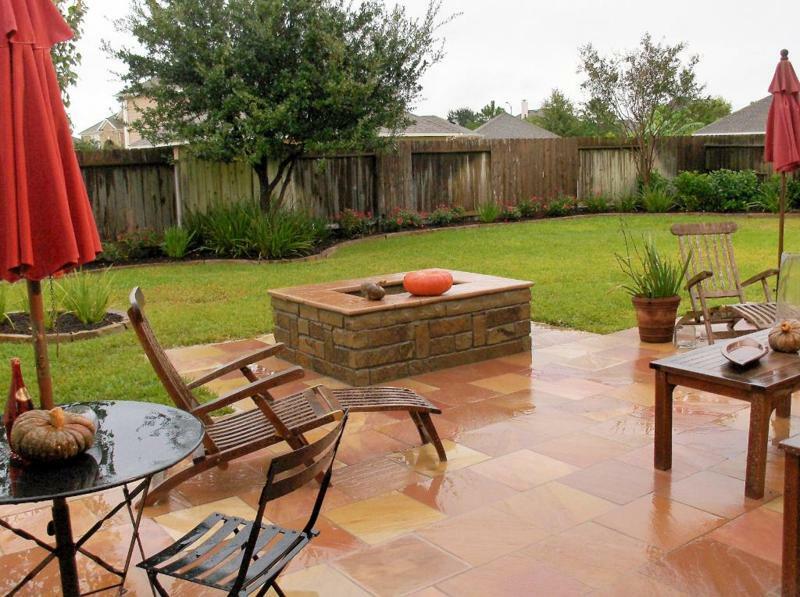 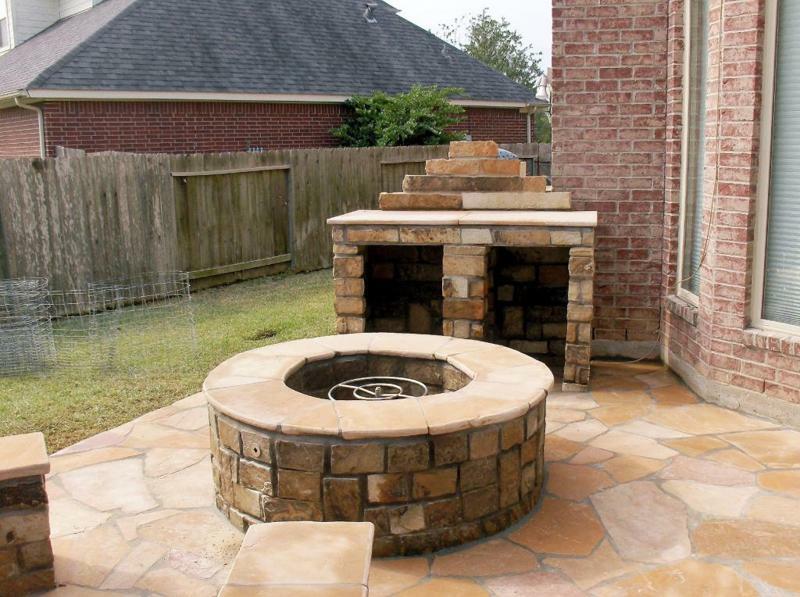 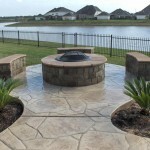 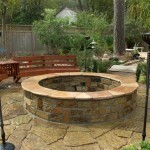 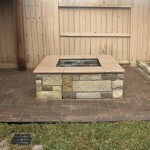 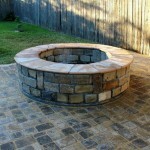 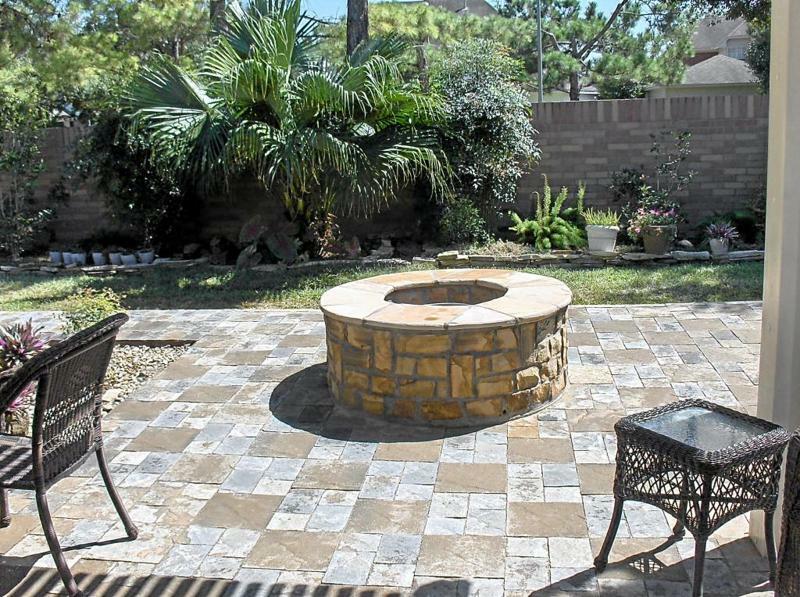 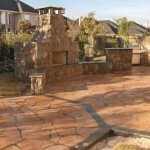 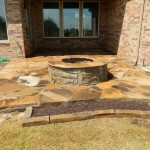 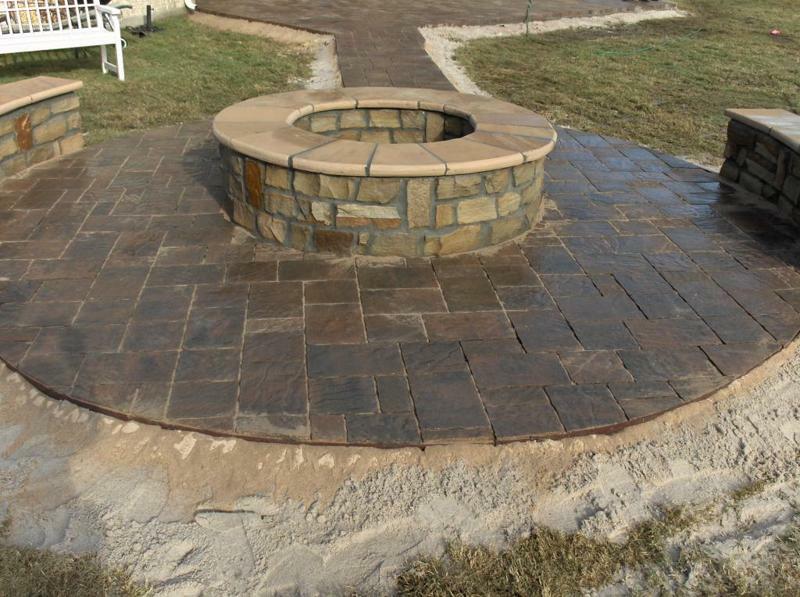 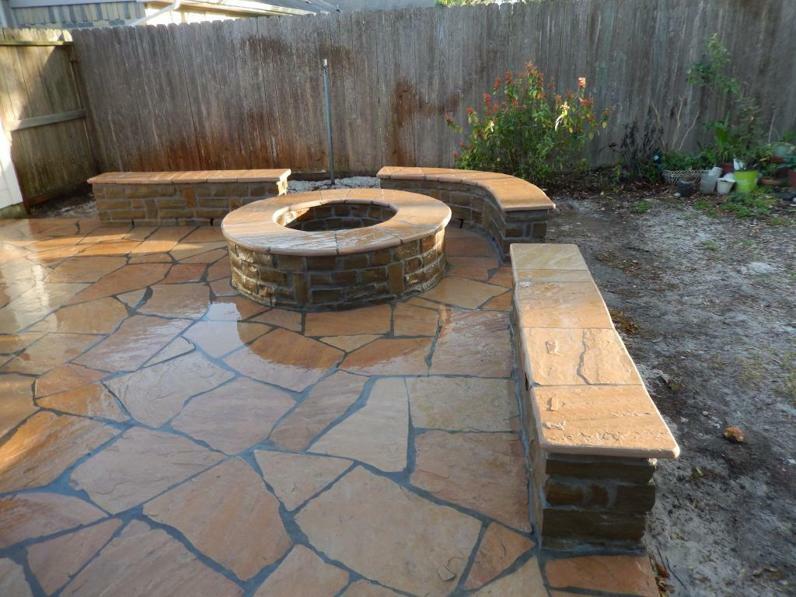 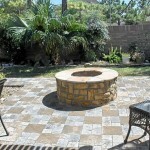 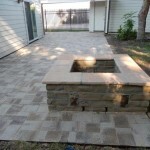 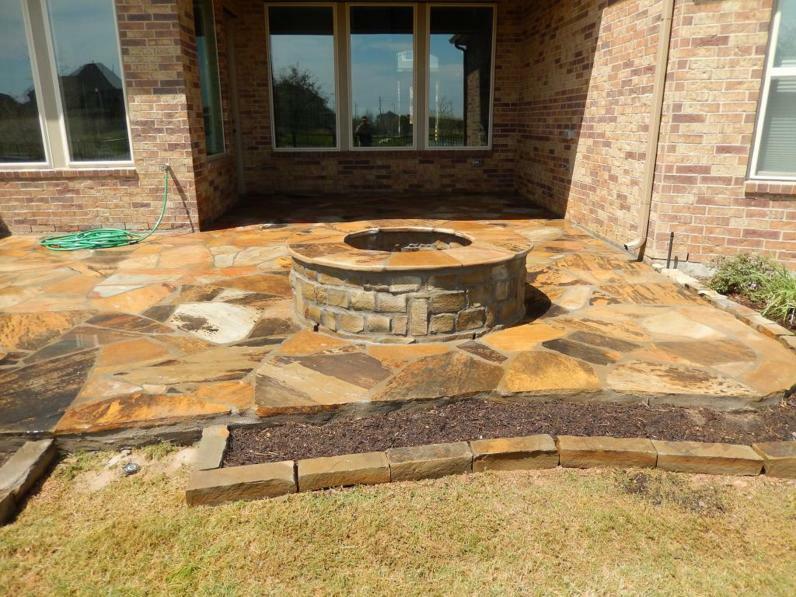 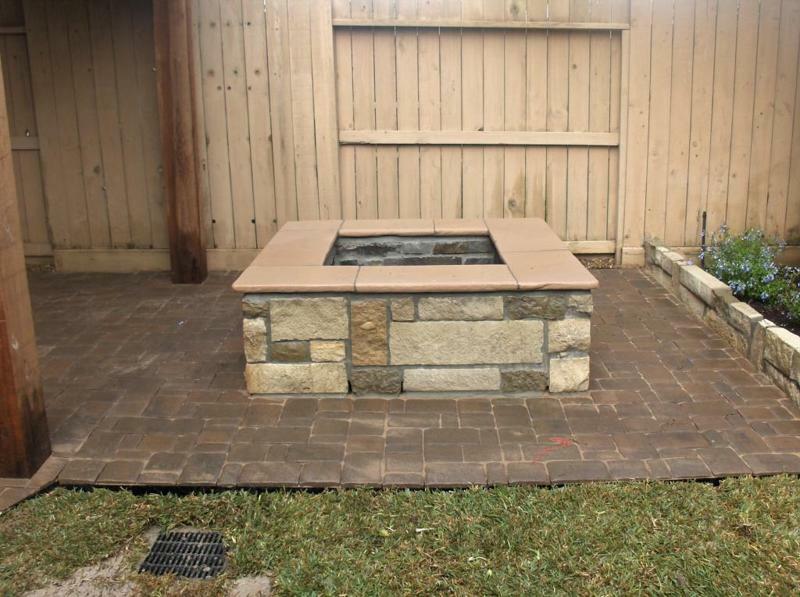 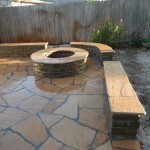 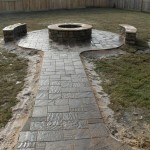 Oklahoma chop rock firepit on Antique tan” Venetian” untumbled paver patio. 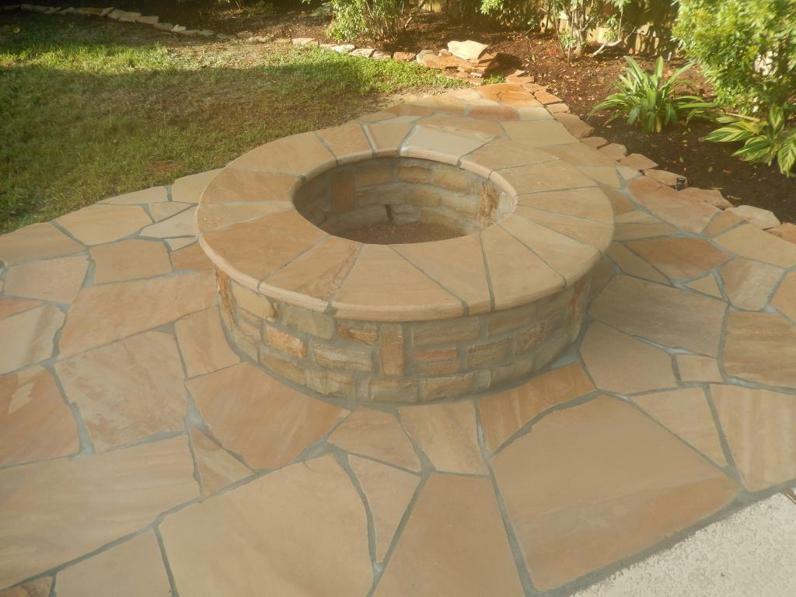 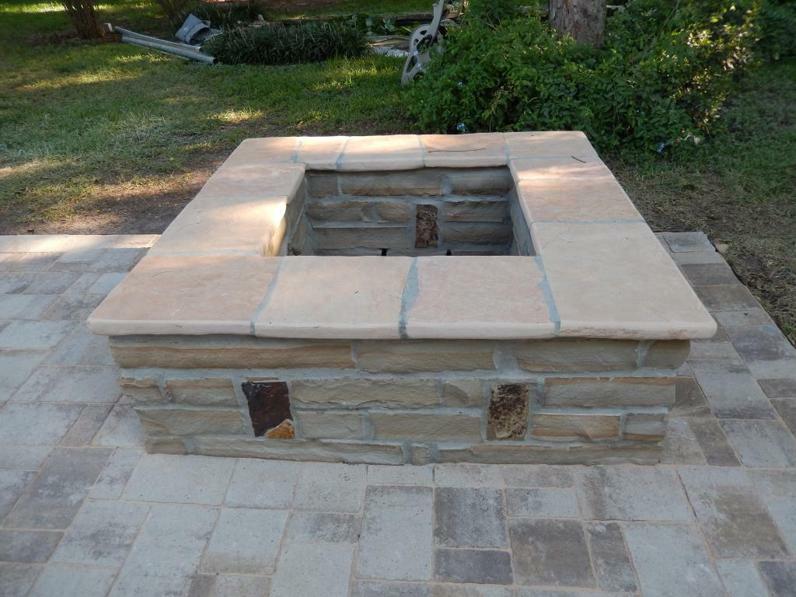 Arizona buckskin patio with oklahoma chop rock fire pit and stone bar area for future refrigerator and wine cooler. 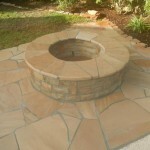 Winchester chop rock firepit . 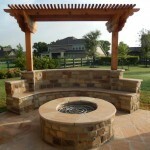 Oklahoma chop rock outdoor fireplace with sitting benches. 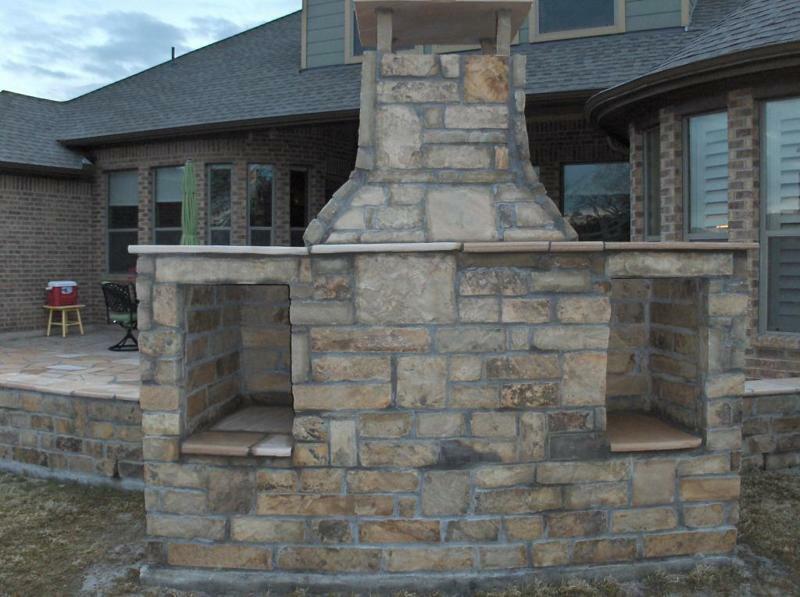 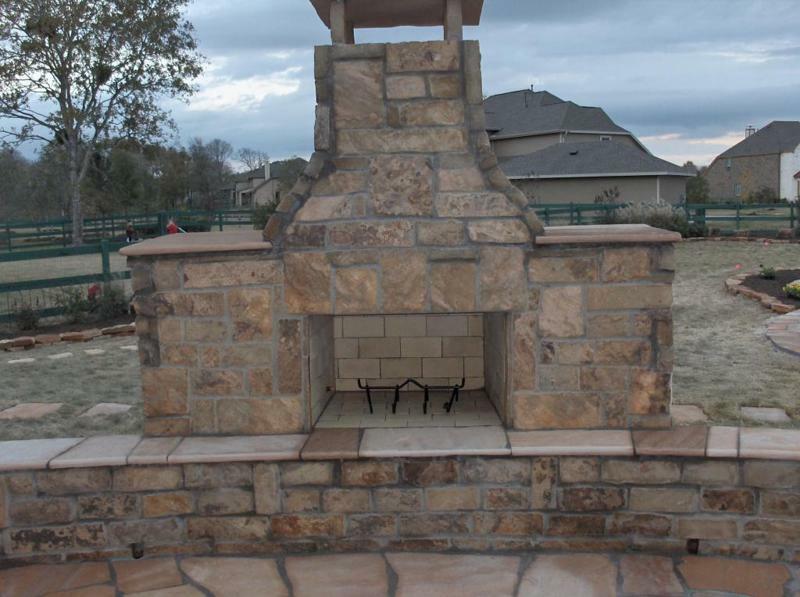 Outdoor fireplace with oklahoma tumbled stone hearth and benches. 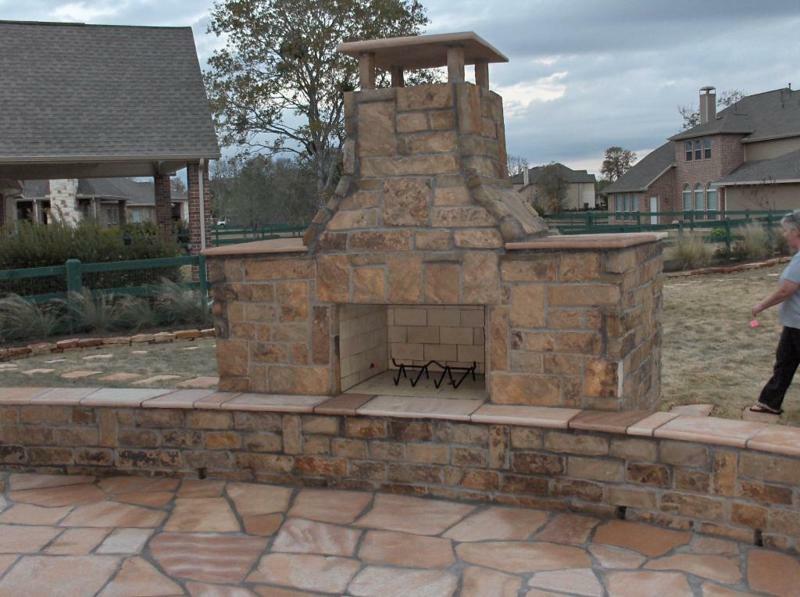 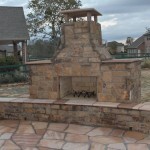 Outdoor fireplace with Arizona buckskin flagstone patios with Penn. 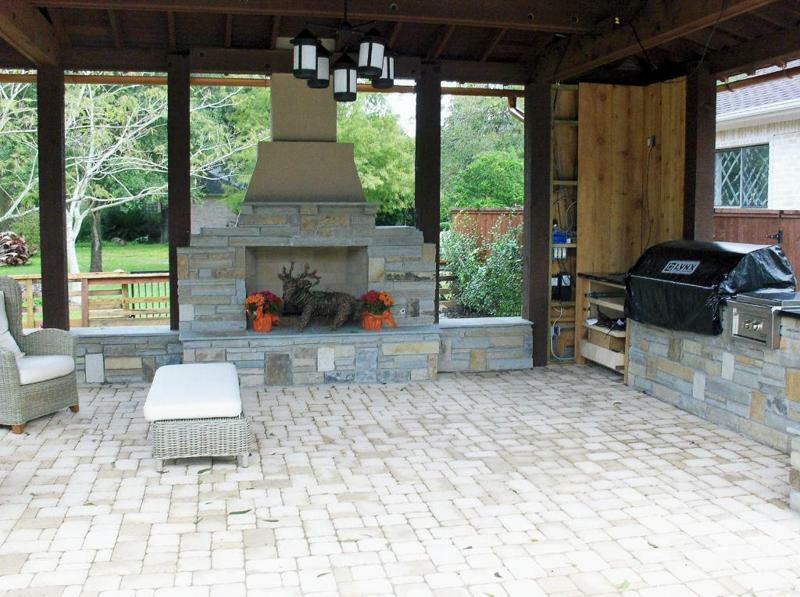 full color accent dividers. 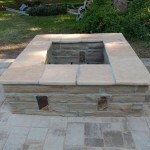 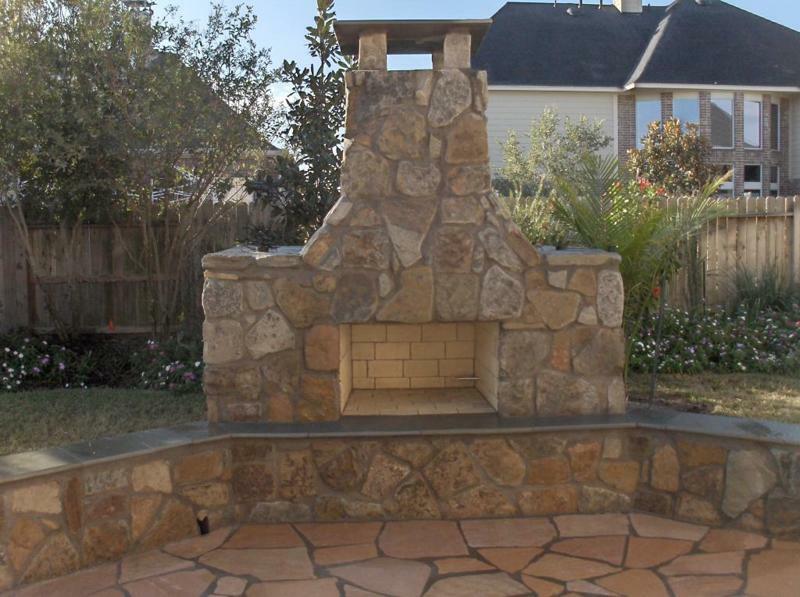 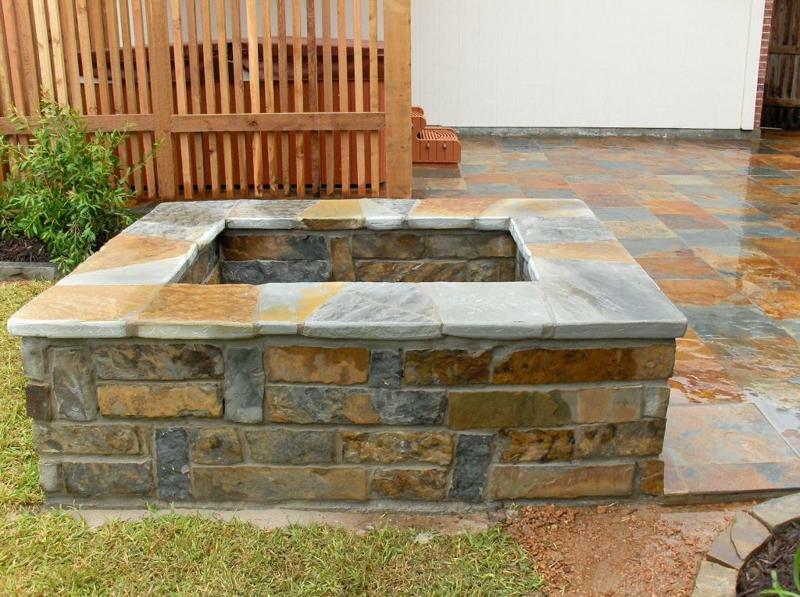 Outdoor fireplace with buckskin patio. 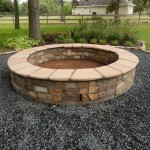 Cambridge cobble 3pc. 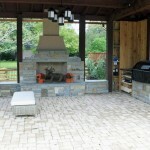 limestone patio with multicolor chop rock fireplace, hearth, sitting benches, and outdoor kitchen.